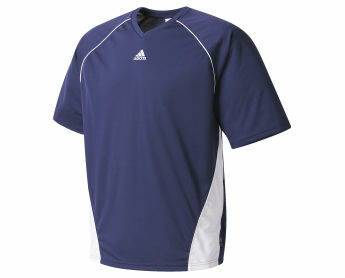 V-neck ClimaLite jersey with front and back inset panels with improved freedom of movement and comfort. Piping along front and back. Raglan sleeve and side insets. Embroidered adidas Performance Logo at centre chest. Simple, functional shirt ready for team play and training.